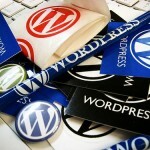 Few days ago the WordPress 3.1 beta was announced. Among the many features that comes with the new version, mainly improvements of current features that were considered poor, such as: themes search, visual editor, user admin, etc. The feature that sound most interesting is Internal linking feature. 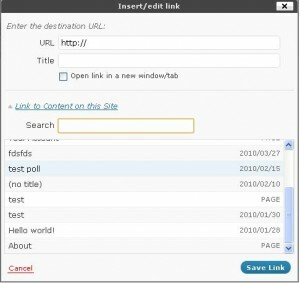 With the new version WordPress will provide by default a way to easy link to other internal articles, without having to open your page in a new page and search for posts you want to link to. When a new post is added the author can search trough existing articles and to directly link to them. It is a really nice feature that will save a lot of our work. Additionally, a button to generate the shortlink code for every post is available. We all know how important internal linkin is, but while it is time consuming we often skip this important step in terms of SEO. Many people complained that wordpress is not that good for seo, I’m waiting to see what they think now when they can easy use this feature. There are also plugins that automate the linking for you, but it will link everything and I don’t want to have links everywhere with no sense. I want to select where to place the links but do it quick. well this one feature I had been waiting for some time as i had to manually update each and every post to insert link. but now I have another issue. I am using WP 3.0 and not sure how to update it. so look forward a post from your side on how to upgrade from old to latest one. When the update is available, you should see a link in the top of your wordpress admin panel. “WordPress 3.1 is available! Please pdate now”, but the 3.1 version is not yet released, it is still in beta. If you have 3.0 you should see “WordPress 3.0.3 is available”. If you already have 3.0.3 you won’t see anything until the 3.1 is released. You have to wait few more days until beta tests are over and final fixes are made. It is strongly recommended not to use beta versions. If you still want to test the feature you can install a separate test blog, and use this plugin http://wordpress.org/extend/plugins/wordpress-beta-tester/ . It will power your website to directly update to beta versions and other development stuff. Yep, a long awaited feature ! 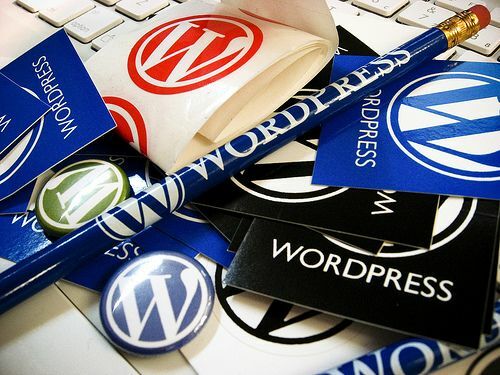 WordPress is becoming a really great cms !